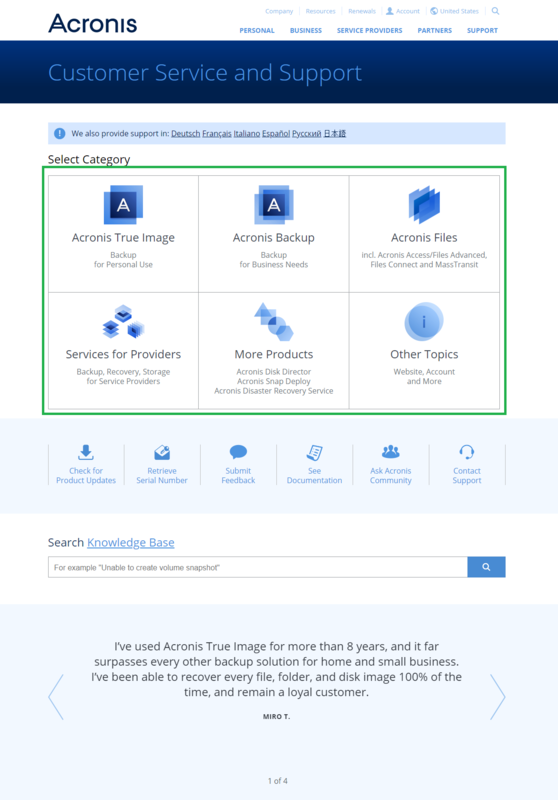 To get Support go to the Acronis website - you should be automatically redirected to the local web-site according to your location. 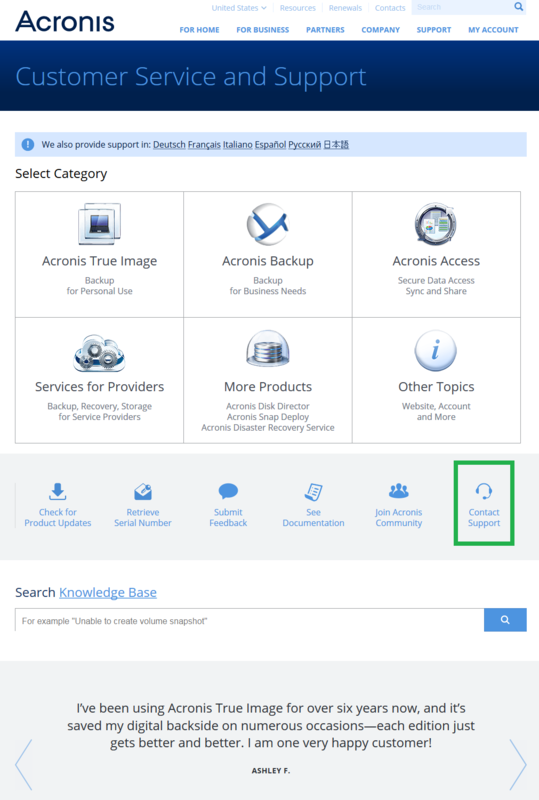 If not - then please choose the local web-site from the Choose your region menu at the top. 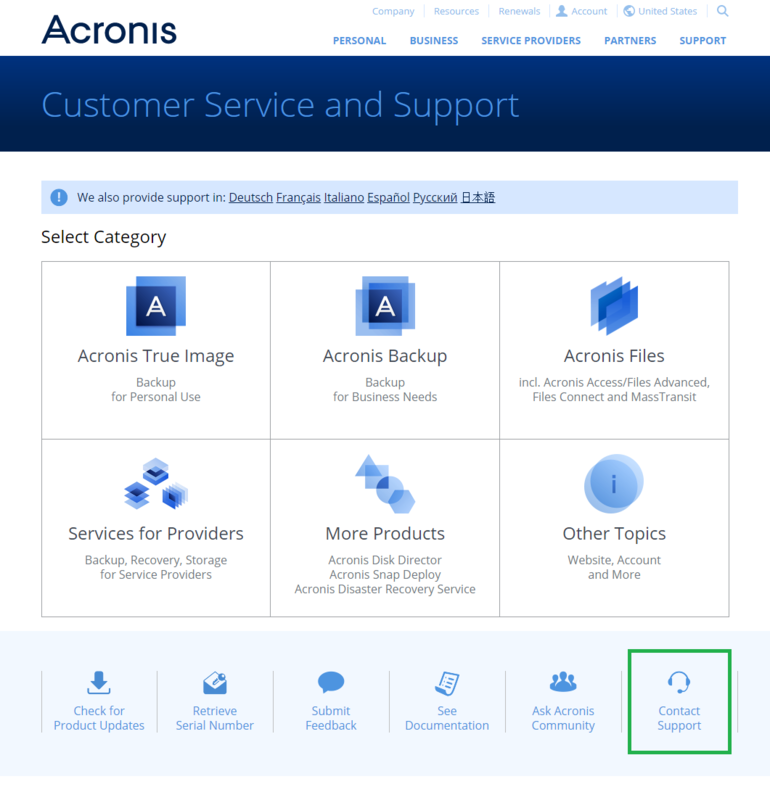 After that go to the "Support" tab. 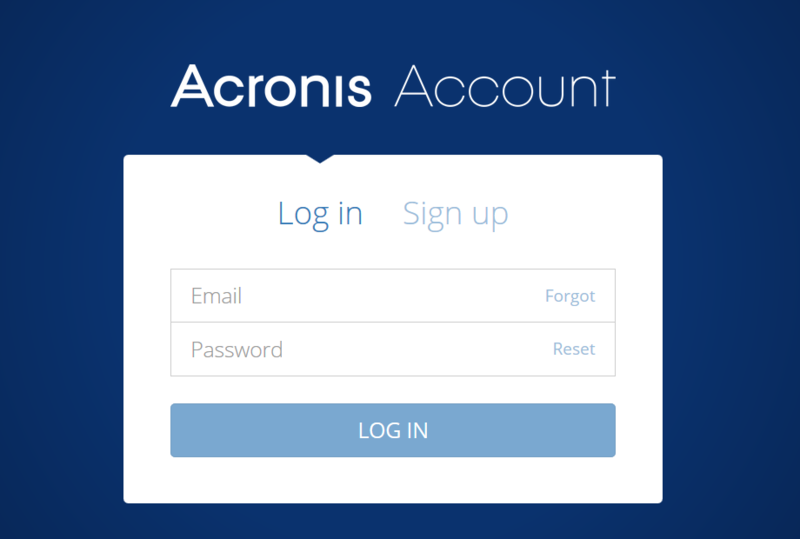 Welcome to Acronis Customer Service and Support Portal. 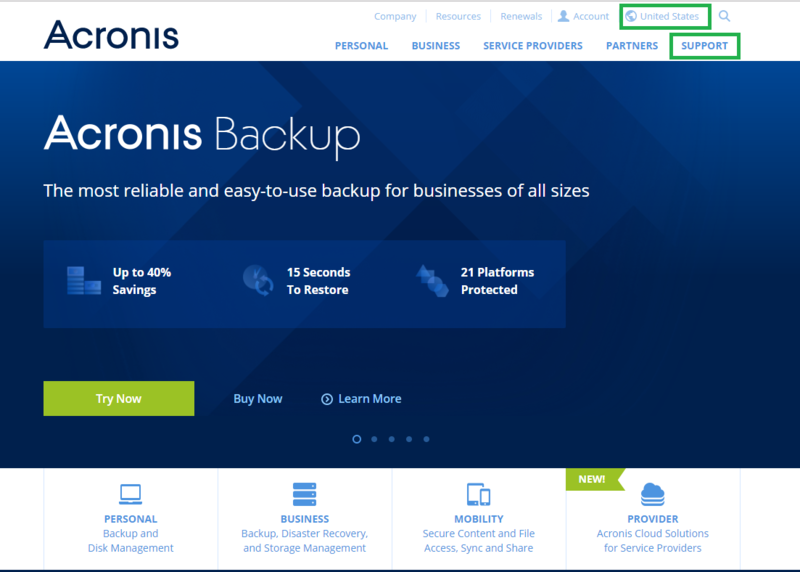 Here you can use our self-help resources and contact Acronis Customer Central. 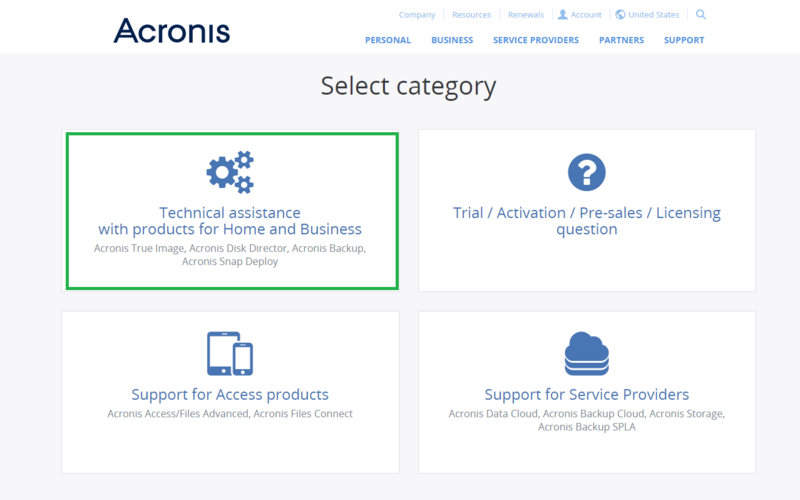 Check your support options in List of support options for Acronis products.